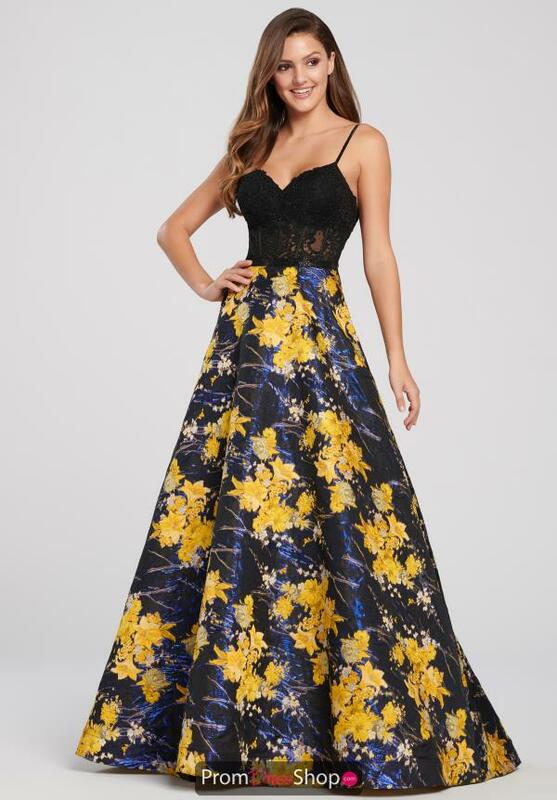 We are loving this fabulous printed prom dress EW119145 by Ellie Wilde. Featured is a fitted bodice and a gorgeous sweetheart neckline paired with thin spaghetti straps for added support. The intricate lace detail along the bodice is complimentary to the patterns of the a line skirt. The silhouette shows off vivid floral design as it provides the perfect amount of volume.